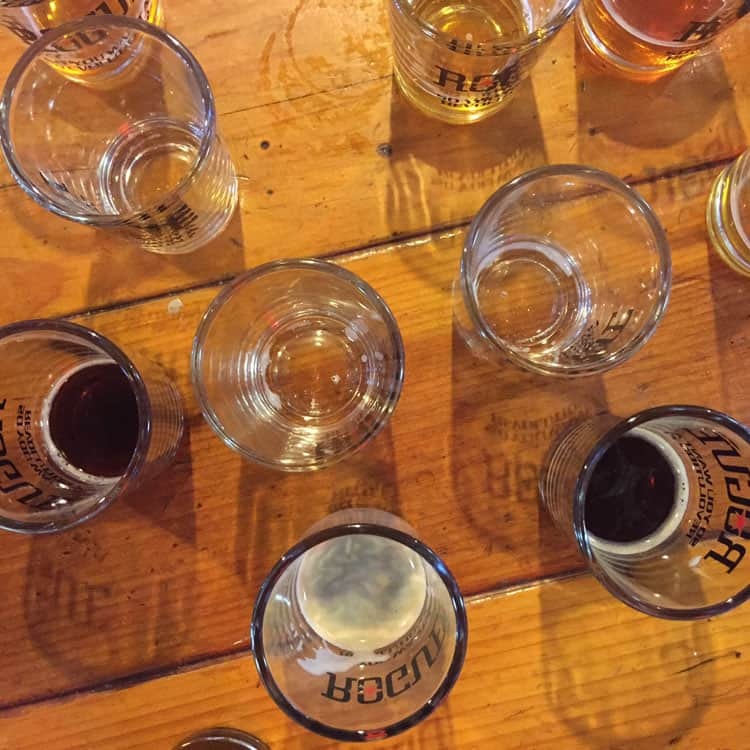 You only need to spend a short amount of time in Oregon to see that beer is a huge passion here. There are breweries everywhere! I think you can spend a lifetime trying to taste them all, at least a couple of years. I tasted about a dozen in the span of 30 minutes and I’d say go with the over-time route is probably better for your liver! Not counting this year off, I’ve worked in corporate America since I was nineteen. Let’s just say that’s a very long time. I grew up a military brat where it was instilled in me that you follow the rules. In my work life experience I know it’s better to be a good corporate citizen, but sometimes you just have to go rogue and beg for forgiveness if something goes wrong. Some of my most successful projects were because I wasn’t always following the rules. In this case, in Newport, Oregon, not following the rules (or at least the ones that don’t make sense) makes for a damn good beer. 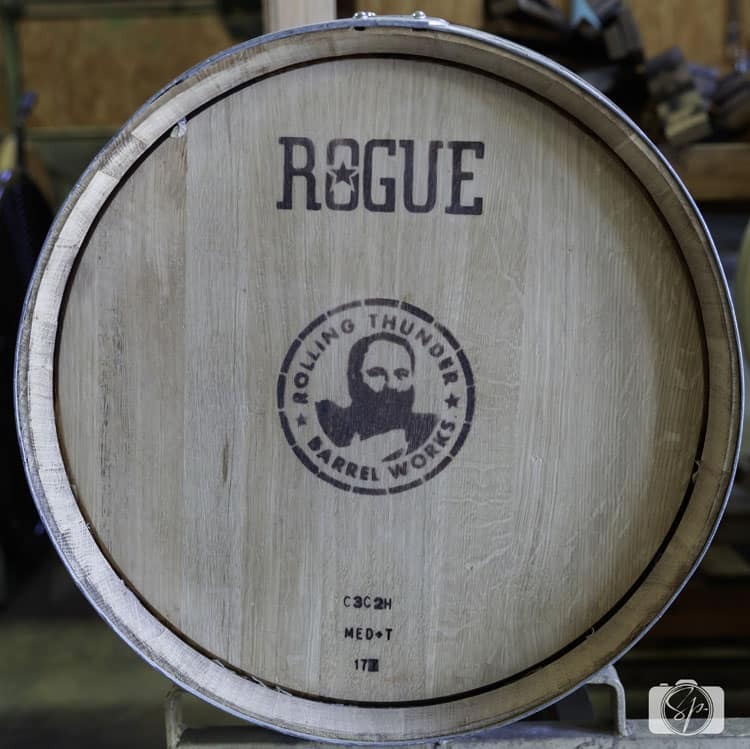 Rogue Ales & Spirits thrives because of its rebellious nature. I knew the moment we planned our trip up the Oregon coast that I wanted to visit them so I reached out for a tour and interview so that I could get to know these Newport natives a little better. 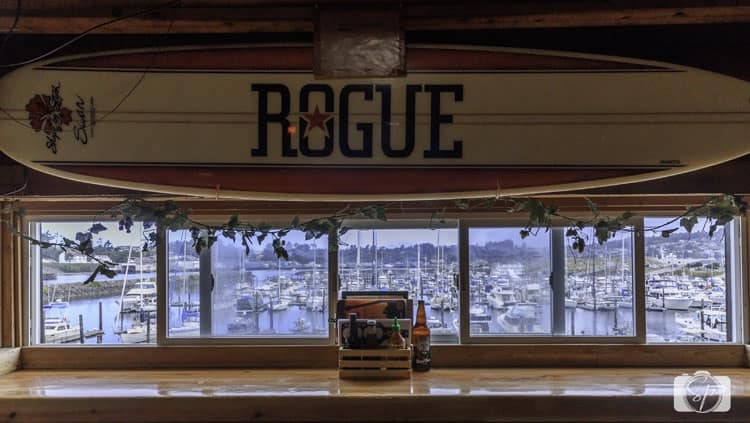 You can’t miss the Rogue Nation Headquarters as you enter into the town of Newport. Just look for the big red silo. As the story goes, one of the original sales managers bought it for $400 somewhere in Northern California and brought it up to Newport where it was promptly placed where it stands today. The port authority wasn’t exactly pleased with a big red eyesore. So what did the founder of Rogue Ales do? He parked a bright pink pickup truck on the roof. The port authority said he could keep the silo but get rid of the car. The brewery headquarters is open every day and there are free public tours. There’s also a retail store with lots and lots of their beer and apparel. They’ve got a great pub (or meeting hall as they call it) on site. The variety of beer they serve is endless. They have about three dozen of them on tap! You can taste flights of their beer along with delicious pub food with a great view of the port. You can also visit their original brewery in the old port where there is a brewpub now. If you have ever visited the Oregon coast you will recognize the name Mo. 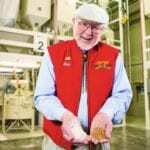 Mo Niemi, the creator of Mo’s restaurant, prolific on the coast and known for its fantastic clam chowder, convinced Rogue Ales founder Jack Joyce to move his brewery from Ashland (created in 1988) to Newport in 1989 where it has remained. 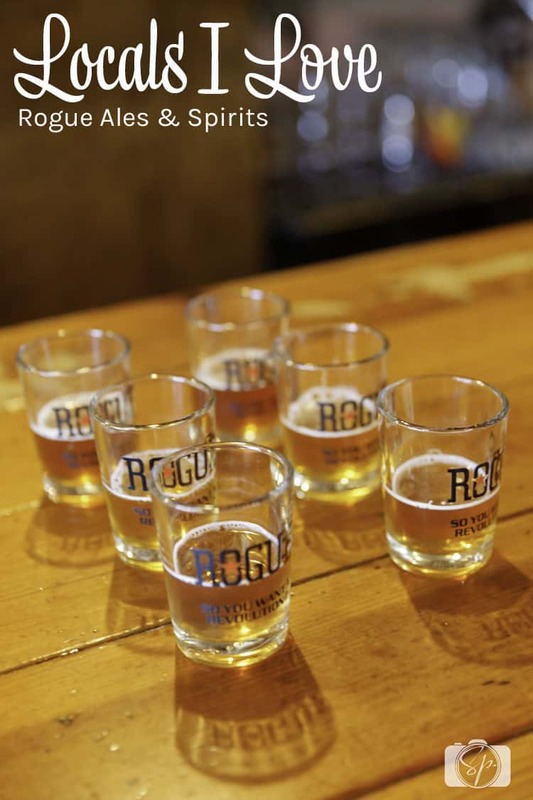 They may be rebellious, but with 1800 awards and counting, Rogue Ales are damn good. We stopped into the pub and tasted about a dozen of them (not part of the regular tour, Mr. Misadventures and I had a special tour). We were impressed with the beers we tried, all of them! But after a dozen, I cried uncle and we walked over (thank goodness I need to walk off some of the alcohol!) to the distillery to find Nate, the head distiller. We met Nate in his “lab” where he experiments with ingredients that are native to the region. (Finding locally sourced ingredients is important to Rogue) Nate is cooking up some amazing spirits! 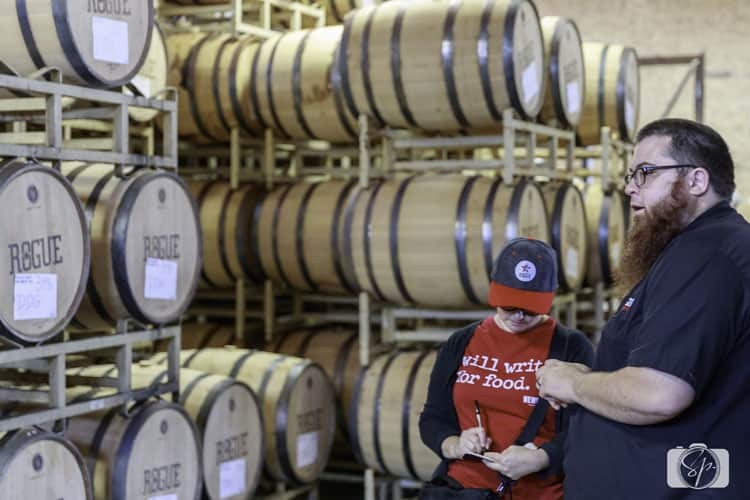 He is constantly creating new products while distilling Rogue’s regular line up of whiskey, vodka, gin, and rum. He precious product goes into barrels for aging. 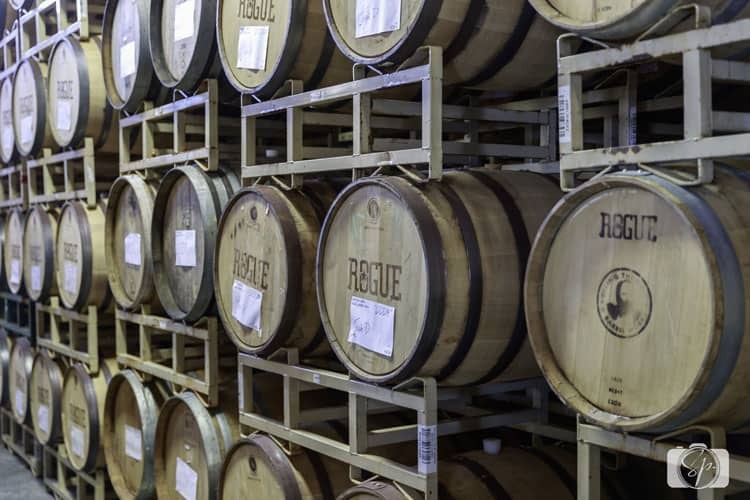 Rogue had been purchasing French oak barrels from Oregon’s wine region, McMinnville, but recently decided to build their own. They sent off two gentlemen to McMinnville to learn how to make wood barrels so that they could build them in their own shop. But instead of using French oak, they are building barrels with local Oregon oak. 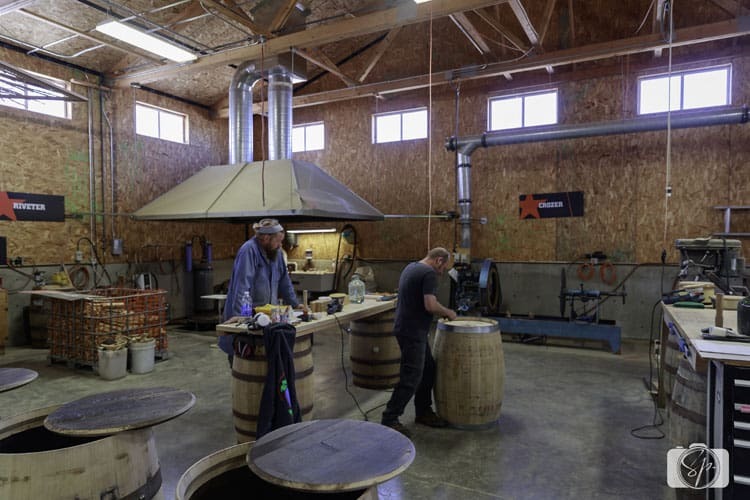 These diligent masters are making about 10 barrels a week and as they complete them the French oak ones are getting replaced (as well as used for other products). While walking around the aging area, we had the privilege of tasting an American Rye finished in one of these Oregon oak barrels and I can tell you, after tasting it, Mr. Misadventures wanted to move into the distillery and camp out on the floor in front of those barrels so that he could drink it every day! For now, we’ll have to wait until December when they start bottling this batch. We could have talked with Nate for hours. He is devoted to the craft beverage industry and takes a lot in satisfaction in the work he is doing. When he is not distilling he is cooking and in fact, food is a big part of Rogue Ales. The head brewmaster, John C. Maier, who has led the brewing team since 1989 is just as creative and fastidious in his pursuit of great beer. 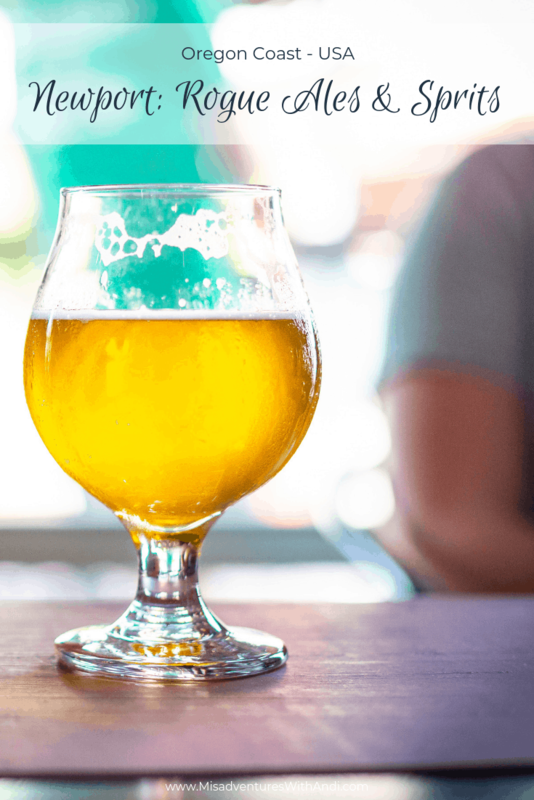 All of their beers are meant to be eaten with food, and if you check out a Rogue label you will see suggested pairings which takes the guesswork out of everything! They have also worked with some really great chefs including Morimoto! 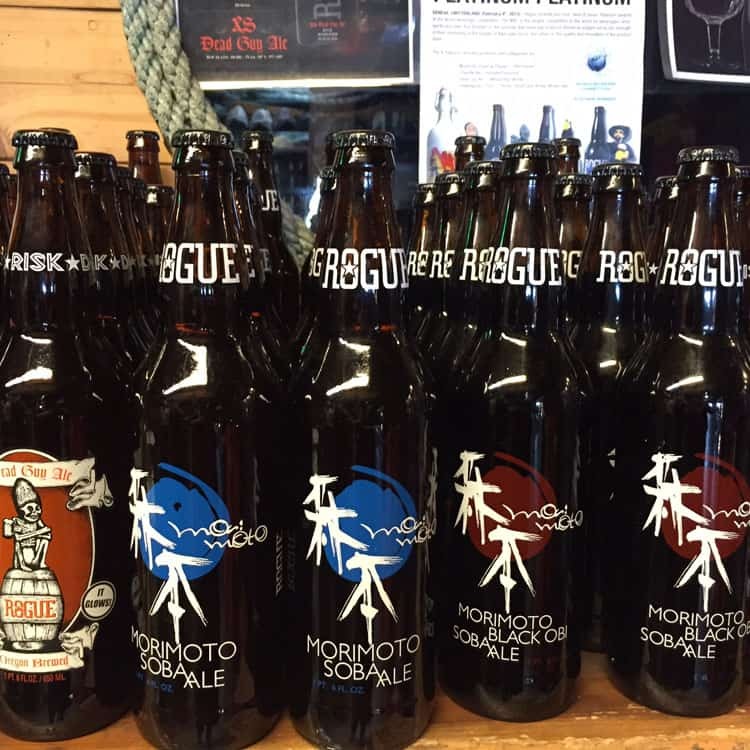 Rogue Ales has a pub in Sapporo, Japan as well. After recently reading Rice, Noodle, Fish: Deep Travels Through Japan’s Food Culture, I can tell you, having a gaijin beer joint in this region is quite an accomplishment! Rouge sources a lot of its ingredients locally in addition to having their own farms where they grow their own hops, rye, barley and lots of other ingredients. There is a commitment to doing it right, but with attitude and flair. Terroir, or as they fondly call it, dirtoir is important. 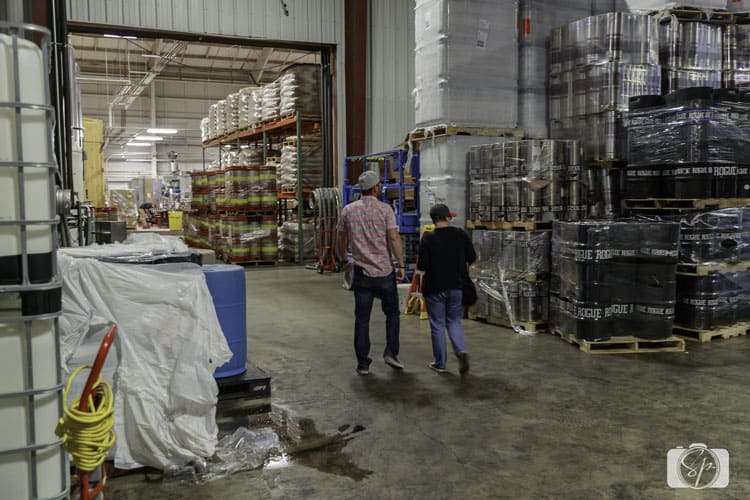 Walking through the brewery and distillery there was a sense of pride, contentment, and passion with all the employees we encountered. I didn’t want to take their photos without their permission but I have never seen so many employees with tattoos of where they work. That’s loyalty! I have loved many companies that I’ve worked for, but none enough to permanently add to my body! Watching the process for brewing, bottling, kegging and prepping for distribution is a lot of fun and will give you a real appreciation for what goes into the bottles you drink. I highly recommend the tour, it’s free! 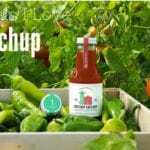 I think it is important to seek out food and beverage purveyors and give them a visit. As a consumer, we have a choice, and personally, I would rather buy products that not only taste good but also come from companies that share the same passions as I do. 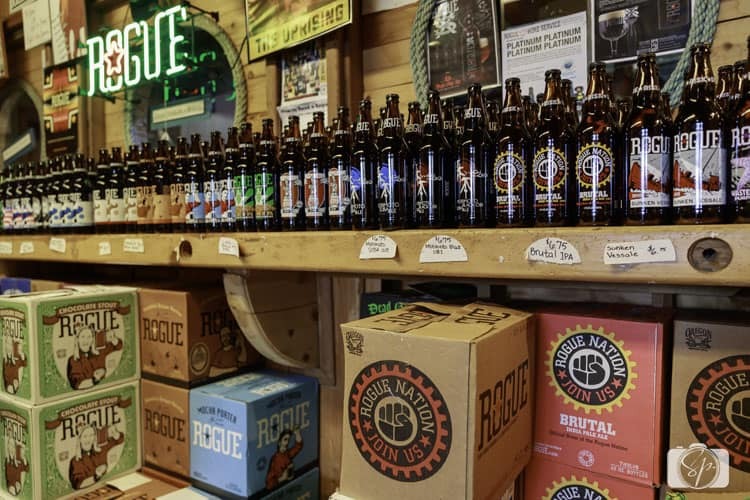 I was already familiar with the Rogue Creed and the Rogue Way because they are listed on their website, but now that I’ve visited Rogue Ales, I know they live this creed and guidelines, I’ve seen it in action and I am a believer. So next time you are thinking about grabbing a pint or buying a bottle, I urge you to consider Rogue Ales, if you like beer, there is a flavor for you! How about you? Have you visited a brewery? 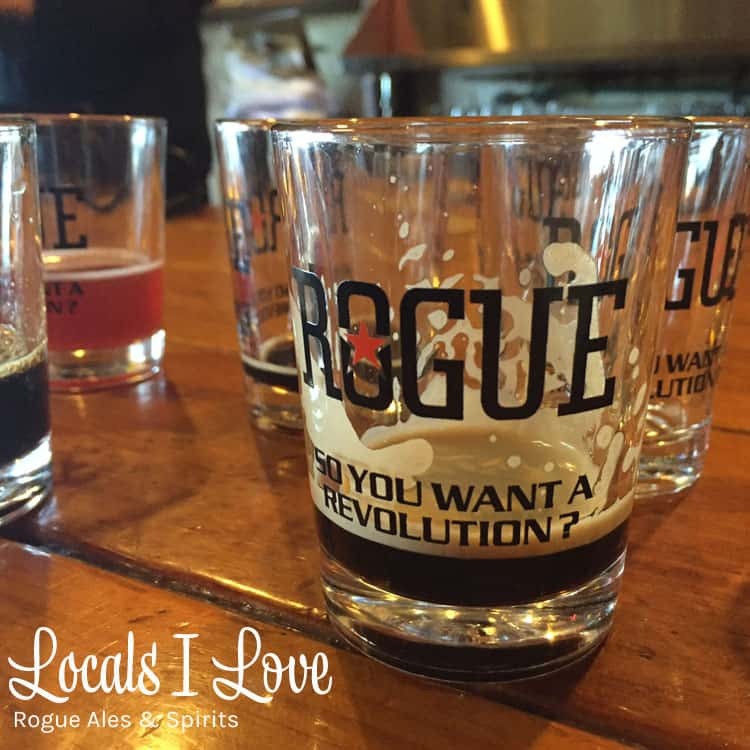 Are you a fan of Rogue Ales? What’s your favorite beer or spirit from them? What an interesting place to visit, loving all of those photos and details. Sounds like a place I would have fun checking out! Rogue is one of my favorites! We always scoop up a new one when we get the chance! Our local shop carries quite a few different brews! @Chelley, what’s your favorite of theirs? There’s a coffee porter, I believe that’s what we use to marinate beef! SO good! So fun! I love checking out breweries and this one looks great. @Neely, what’s your favorite brewery you’ve visited thus far? What an fascinating place. 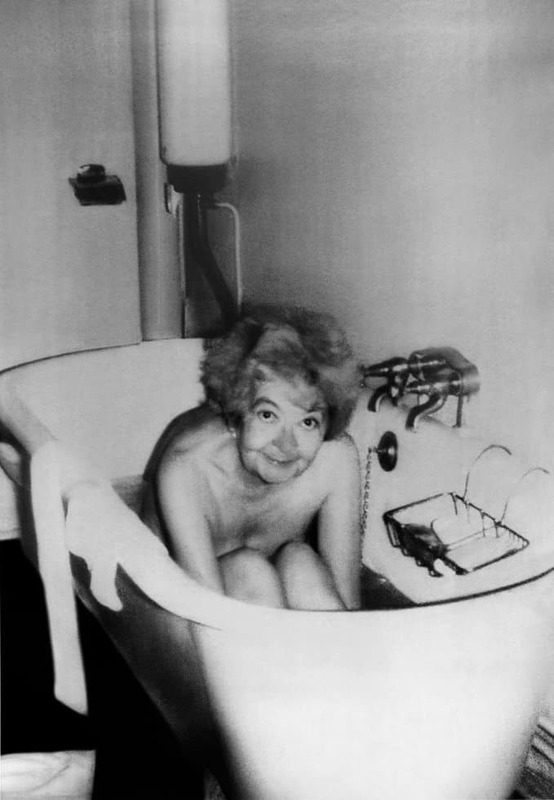 I loved the tub photo. Thanks for sharing! 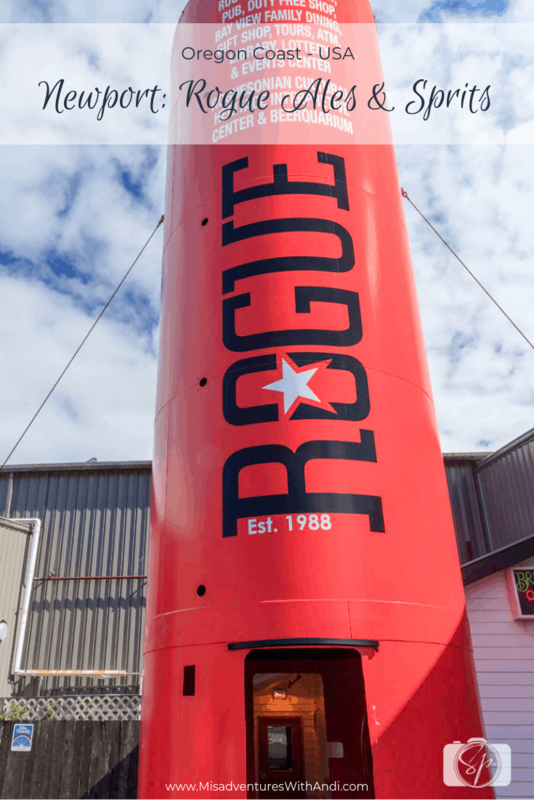 Rogue Ales has a “meeting hall’, sounds like Valhalla. This place looks so interesting. I will have this on my bucket list, will travel soon! I love Rogue beers!! I have to go to that place at least once. @Melanie, what’s your favorite Rogue beer? I wonder if the person realized that the photo would be one of her in the tub. My dad would love to visit a place like this. @Tara, Mo insisted on that specific photo, she definitely knew, that’s goes to show you she was such a character! Local breweries are always super interesting. I wish I could visit one near me. I would love to visit this brewery/distillery. It looks so interesting how they make these spirits. It is great that the brewery offers public tours everyday and its nice that the ales are rebellious too. I haven’t tried Rogue yet, but I do love visiting breweries. The red silo is an awesome marker too. @Liz, what’s your favorite brewery you’ve visited? I love visiting places like this. I am not a big beer fan but if it has rum or whiskey that is even better! @Kandi, they do sodas too! And the rum and whiskey is SO good! I would love to visit their original brewery. I will have to pick some up to try. @Ann, do! They have so many varieties! This is so cool! 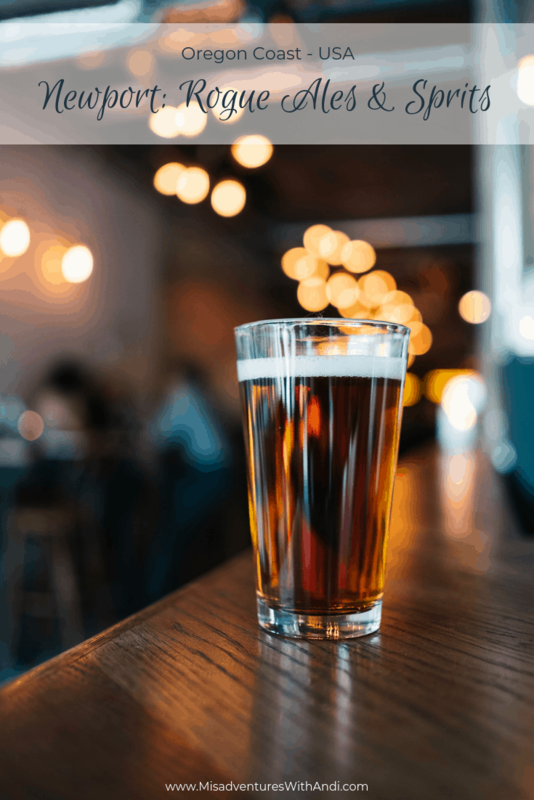 I always love learning about local breweries and how they got their starts! @Echo, do you have a favorite brewery you’ve visited? I only drink occasionally but being able to tour a brewery would be awesome. I’ve always been fascinated with how things are made. I’m sure you had a great time there! @Elizabeth, it was a lot of fun because they people working there really enjoy it! 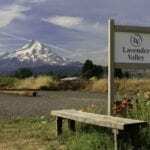 I am heading to Oregon in March, I will have to see if this place is close enough to Portland so I can squeeze it in to my trip; I would defiantly love to check it out. @Lisa, it is a 3-hour drive from Portland to Newport. What are you going to do in Portland in March? I love brewery tours! I try to go to as many as I can. @Mags, where is your favorite? I love tours like this. I like to hear the history behind something and then the sample tastings are always so much fun too. @Christina, I totally agree! It gives you a deeper appreciation of their product. This place is absolutely perfect for beer drinkers. Sadly, I am not one of them lols. Thanks for sharing! 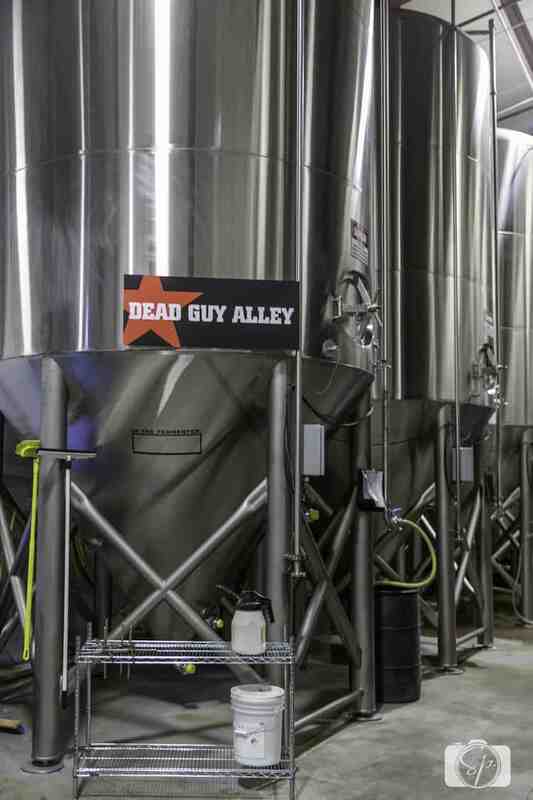 Awesome, I’ve always been interested in what’s cooking behind the scenes at a brewery. 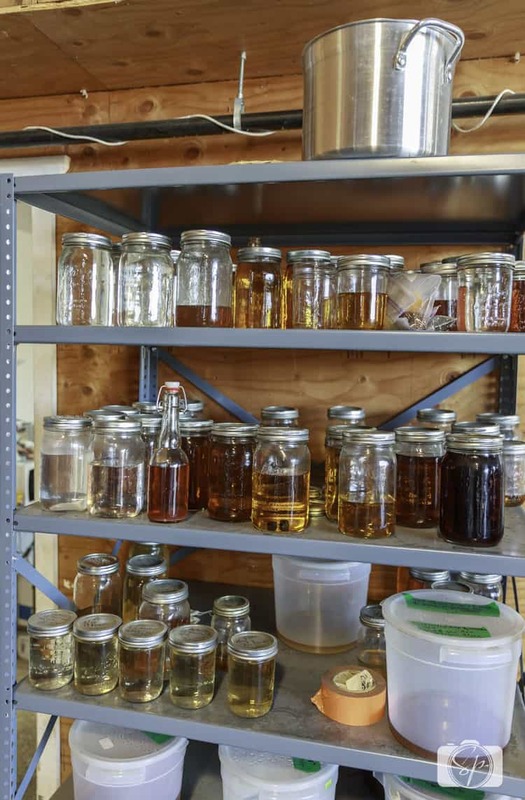 That shelf full of jars looks like it holds many secrets to success. Amazing place! @Karla, it does, but I promised not to share! This sounds like a fun tour my husband and I would enjoy. If we are ever in the area, we are going to check it out! @Leigh Anne, do! It is a lot of fun, truly great (and fun) people! 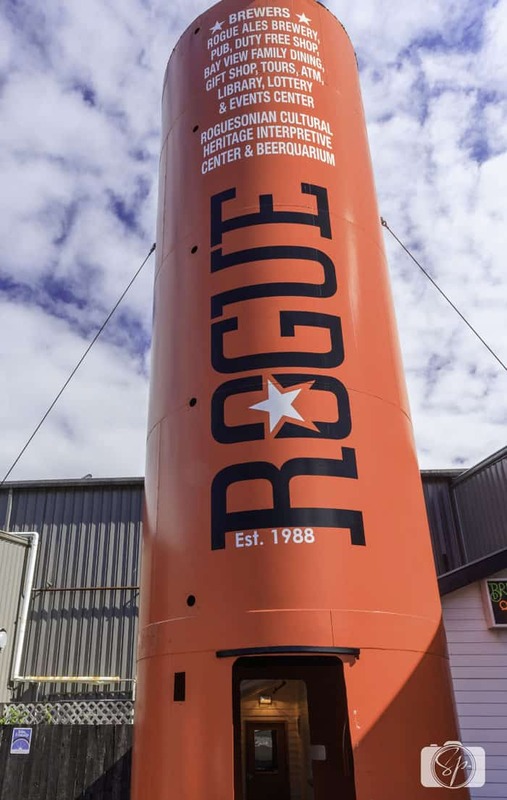 The Rogue beer sounds so very good.I like all the pictures of the brewery and the interesting story .It sounds like it was a really fun tour and now I want to go visit it too.